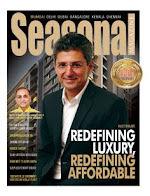 Seasonal Magazine: SJVN IPO: Do Strengths Beat Weaknesses? SJVN IPO: Do Strengths Beat Weaknesses? At around Rs. 30, this is a value buy for the long haul, but will the SJVN management be able to do enough so as not to fall into the rut that NHPC and JP Associates find themselves in? The prospects of the power sector, especially in rapidly growing economies like China & India, is generally considered to be bullish. In this backdrop, several state-owned and private power companies in India had floated their IPOs during 2007-08, 2008-09, and to a lesser extent in 2009-10. Continuing in this trend is Shimla headquartered PSU Satluj Jal Vidyut Nigam Ltd’s IPO starting on April 29 2010. Investors have always been divided over the possible returns from investing in power IPOs, as they are relatively new entities in the country’s capital market. While many of the power companies that floated IPOs during the past couple of years were new players with no completed projects then – like Reliance Power and Indiabulls Power – SJVN is an established player in the industry. Though it has only one completed project, the Nathpa Jhakri Hydroelectric Power Station (NJPC) in Himachal Pradesh, it is rather huge, even by the standards of mega power projects. While hydroelectric projects are classified as mega starting from 500 MW of installed capacity, the underground NJPC project is around three times this, having 1500 MW capacity. In fact, at these levels it is comparable to mega thermal power plants. Secondly, unlike many power companies that went for their IPOs, SJVN is already a regularly profit making entity. For the nine months ended December 2009, it registered Rs. 775.37 crore in profits on an income of Rs. 1510 crore, and in this context is comparable to Government’s other hydroelectric company, the National Hydro Power Corporation (NHPC). SJVN is also on a significant expansion spree, geographically, capacity wise, capex wise, and technology wise. The company which currently has an authorized share capital of Rs. 7000 crore needs around Rs. 29,000 crore for the full expansion. Out of this, the first target is to raise around Rs. 15,000 to Rs. 16,000 crore to take the capacity from the present 1500 MW to 6500 MW. SJVN has already transformed itself from a one-project company to a multi-project one with another 10 hydroelectric projects in different stages of planning and execution in different north and eastern states. It has even gone abroad with one hydroelectric project in Nepal and two in Bhutan. The prospects for hydroelectric power is significant in India with the country estimated to have utilized only 20% of its full hydroelectric potential. Worldwide, while 24 countries meet 90% of their power requirement using hydroelectric power, another 66 countries meet 50% of their requirement through hydro generation. From being a pure hydroelectric player, SJVN is also diversifying into green technologies like solar and wind power, which enjoy good prospects in the coming decades. The pricing of SJVN’s IPO is around Rs. 30, and there is no doubt that it comes across as reasonable for both retail and institutional investors. Still, the downsides should also be considered before deciding on a buy. Looking from the company’s standpoint, the main disadvantage from this IPO is that the Rs. 1200 crore it hopes to collect from the primary market will fully go to the major shareholder Government of India and won’t come into meeting the financial requirements of SJVN. This is because this IPO is pure disinvestment and does not involve issue of new equity. Currently, Government of India (GoI) holds 74.50% equity and Government of Himachal Pradesh holds the remaining 25.50%. Only a 10.03% stake of GoI is being disinvested now, so that it comes down to 64.47%, post-Issue. However, on the upside, this pure disinvestment will enable the company to get itself listed and thus get its value unlocked. From investors’ standpoint, there is also the upside of avoiding equity dilution. But with no money coming in to service the current debt, it will be left for SJVN to do it from profits and internal accruals, which in turn can strain its bottom-line. However, being funded by the likes of World Bank, a syndicate of European banks, and domestic majors like LIC, Power Finance Corporation, and Rural Electric Corporation, the company is confident of retiring debt on schedule and garnering capital for further expansion. Power projects have longer gestation periods, hydroelectric projects more so, and that is thought of as the main reason why scrips like NHPC and JP Associates have been lacklustre performers until now. This can hit SJVN too, and it should take good efforts from the management not to fall in this rut. Investors should anyway be prepared for a long haul, where this value-buy should deliver handsomely. SJVN is headed by its Chairman & Managing Director HK Sharma, an award-winning bureaucrat noted for his turnaround skills. The other risk for hydroelectric projects viz. destruction of environment, villages, and livelihoods due to submersion, is something that SJVN has been attending to properly until now.